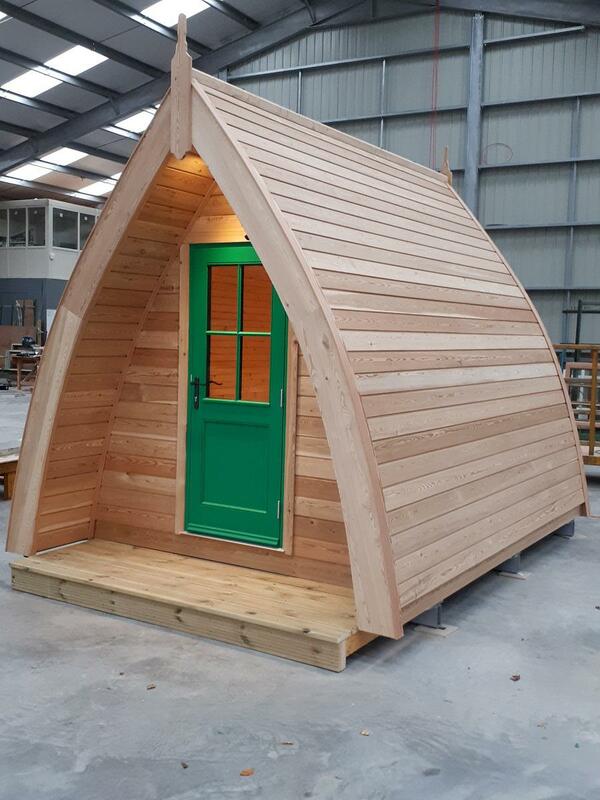 The Siberian Larch Glamping Pod - Who knew camping could be this stylish!!! Bairds Windows are proud to reveal their latest quality product. Quality product made with long term value for money in mind. Size approx. 3700 x 2750 Siberian Larch externally, beautifully finished internally in 5th Grade Redwood with benches and laminated flooring. Anti Rodent steel on the bottom with C16 graded timber trusses to give a strengthened structural base. Fully insulated with 100mm in the walls and 150mm in the floor. Hardwood door with multi point locking system and lockable windows in any Ral colour required. Comes complete with electrics, lights and an over hung porch. Absolutely ideal for any location but particularly for enjoying our dark skies status or those long lovely summer evenings in the hot tub hopefully without the rain.